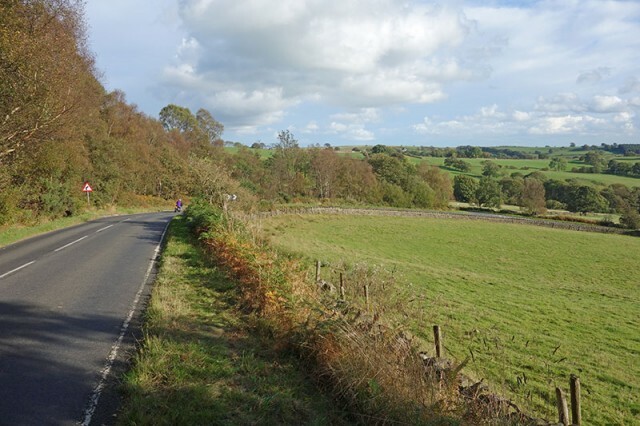 Norwood Edge is a tough 1.2 mile hill climb from north of Otley towards Pateley Bridge. 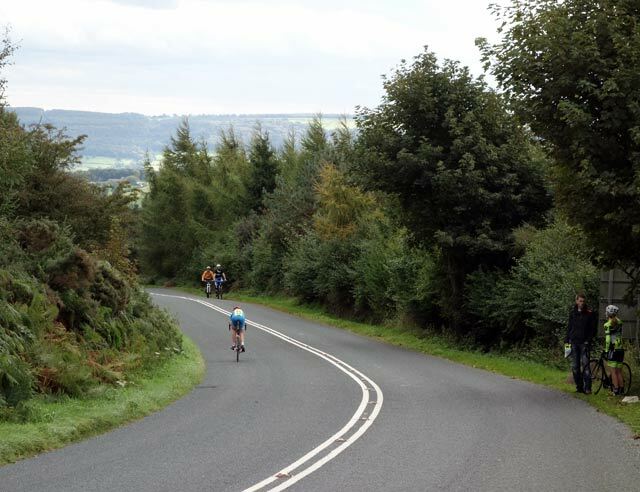 It is hardest at the bottom, with a max gradient of 16%, it then ascends at a more gradual gradient around a couple of hairpins before cresting at the top of the moors. It is a difficult climb to pace well. You need to go hard at the bottom because it is the steepest part, but if you give everything at the steep section, you will suffer on the remainder of the climb. 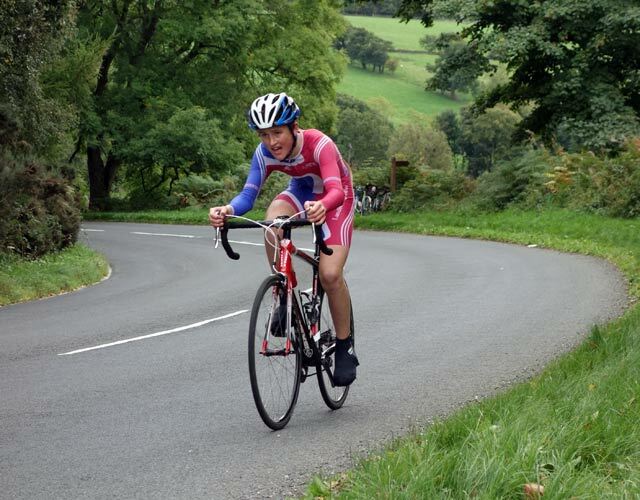 Norwood Edge was my first ever hill climbs, many years ago as a junior in Otley CC. I think my time might have been 6.30, but I can’t really remember. I’ve always seen it as a good hill to test relative form. It’s 20 minutes from Menston and a good warm up. The hill climb starts from the road over the reservoir, where it soon kicks up to 16%, and is a tough start. After this opening couple of minutes, the climb levels off, though it’s deceptively hard because your legs are trying to recover from steep part. After the briefest of flattish section, the road gains in gradient again as you go around a sharp right hander. 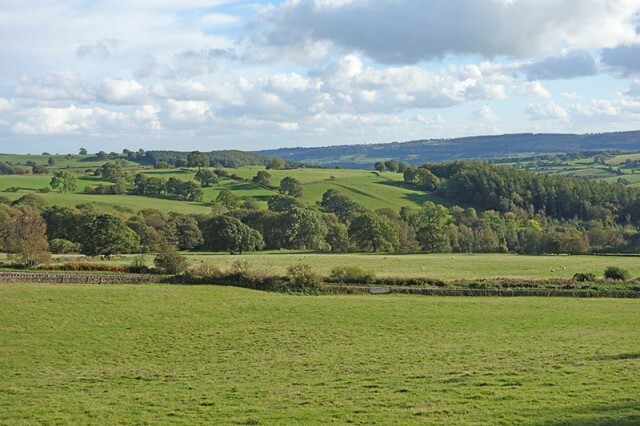 From there there are excellent views down the Wharfe valley. From here there’s still a kilometre to go before you head over the ridge of the hill. The course record for Norwood Edge is 4.40 by Jeff Wright back in 1994. I got close in 2010, when I did 4.45. But, it will be hard to break the record now as we now do Norwood Edge as the second climb of the day (after Guise Edge) in the morning – it used to be the other way around Norwood then East Chevin. Norwood Edge was the first hill climb I did back in 1994 or something. I can’t remember my time, but I think it was 6 and a half minutes. Perhaps I will dig out the old results sheet one day. If you want a hilly ride, Norwood Edge makes a good starting point. The B6451 will take you to Summerbridge. If you go straight on here, you will find a little known steep climb to Brimham Rocks. It’s a real toughie over 20% taking you straight up to wonderful views from the tourist spot of Brimham Rocks. 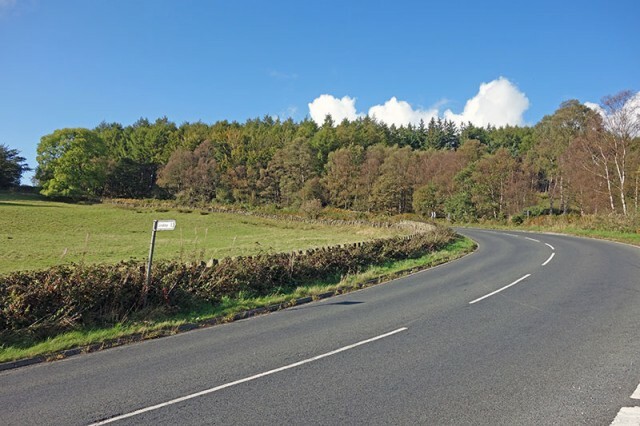 If you turn left at Summerbridge, you can take the main road towards Pateley Bridge. From Pateley Bridge you have a choice of quite a few good climbs. The main B road travels West towards Grassington and Skipton. 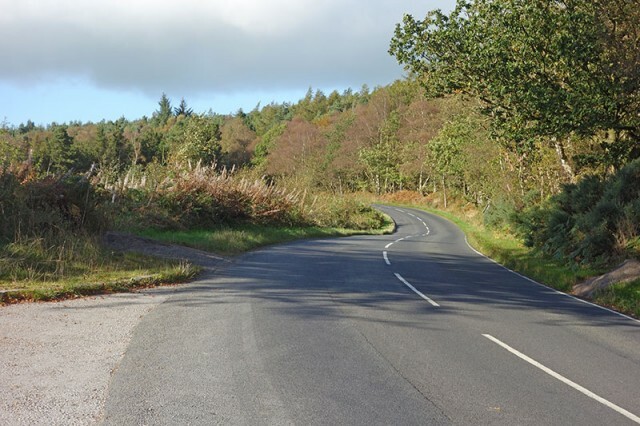 This road takes you up Greenhow Hill which is a real classic climb (nearly 1,000ft of ascent), with several ramps of 16%. Alternatively, you can take the quieter roads up to Greenhow, through Guise Edge – which is nearly as tough. The 100 climbs version is an extra 0.1 miles starting by the reservoir. 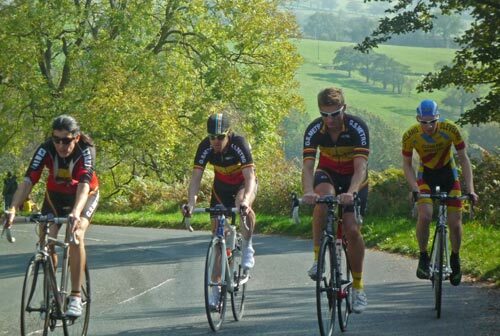 The Otley CC hill climb version starts 100 m further up the hill by a layby. Just found your website. It’s great and inspiring me to get my bike out again! I found it as I was searching for information about Norwood Edge. A friend told me it was number 52 of the 100 hardest cycling climbs in the country. Do you know if this is true? And one minor point – the views are over the Washburn Valley not the Wharfe! Happen I’d better dust off the Daewoo for a Summertime climb. It may not be the perfect hill climbing machine but Norwood Edge looks appealing enough to tempt almost anyone out of their armchair.